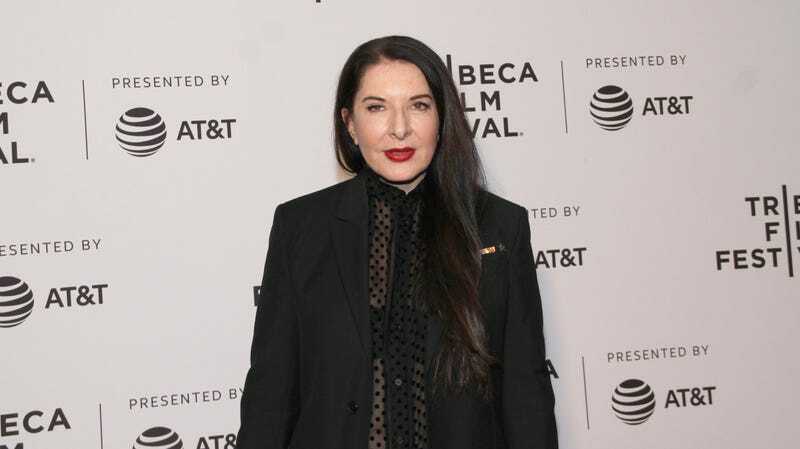 Marina Abramovic was in Florence, Italy on Sunday for a book signing when a man thwacked her over the head with a portrait he, uh, made of her. Why? “I had to do it for my art,” he said, allegedly. Ah. Abramovic was stunned, but unhurt, according to the New York Times. Pisvejc is described as an “aspiring artist” from the Czech Republic, but according to someone in the above video, he “tries to make trouble at all the exhibits.” You’d think someone might want to get around to stopping him, but not so much. Abramovic declined to press charges, and later asked to meet Pisvejc. When she confronted him about the attack, and why he did it, he reportedly said, “I had to do it for my art.” I must confess I find his art rather wanting, but I am not a professional critic, so I know nothing.